South of France There are 29 products. A rosé with a pretty pale color, red fruits and English candy, well balanced between roundness and freshness. This red wine from Chateau d'Azur is colourful, highly structured and capable of long aging. Translucent very pale damask pink colour with almost water like hue. The nose displays cherry and strawberry aromas followed by some spice. Dry and possessing good textural qualities the palate has flavours of cherries and raspberries followed by some ripe strawberries and spice. Good length with clean dry finish. Aftertaste of raspberry, cherry and spice. Fresh and Tangy on the nose yet round on the palate. Cuvee Jean Paul White Sec, is a fresh, dry white made from quality grapes sourced from Vin de Pays des Cotes de Gascogne. Delicious, fresh, fragrant nose followed by crisp green fruit on the palate and lively acidity. A vivid pale strawberry pink with aromas of crushed red berries, laced with an exotic twist. On the palate instantly appealing soft berry flavours mingle with a smooth, yet textural finish to make this an uncomplicated, easy drinking fresh and fruity dry rosé of real character. Delicious fresh & fruity dry white wine. Fruity & softly aromatic white wine bursting with light tropical and citrus fruit flavours. With fresh floral and summer grassy aromas. A white Vin de Pays du Gard from Clairette with delicate anise & citrus notes typical of the varietal. 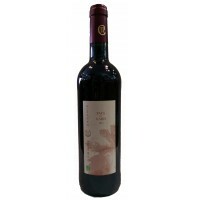 A Red wine from Domaine Cabanis which displays soft red and black fruit with hints of cooking spice. This delicious Picpoul has classic aromas of white flowers and stone fruit. The palate is crisp, refreshing and full of flavour with pear, lemon and pineapple fruits mingled with floral notes. Vibrant and intense fresh ripe fruit aromas. Soft, juicy, succulent and long-lasting flavours with a delicious weight of pure ripe fruit and a smooth, velvety texture.